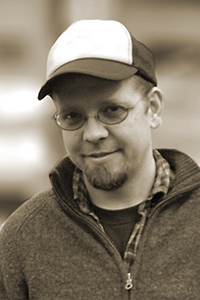 Andy Fogle is the author of five poetry chapbooks, including The Last Apprenticeship (White Knuckle Press, 2012), and The Neighborhood We Left (Finishing Line Press, 2012). His work has appeared in The Writer’s Chronicle, English Journal, Teachers & Writers Collaborative, Natural Bridge, and elsewhere. He has been a Tennessee Williams Scholar of Poetry at the Sewanee Writers’ Conference, and he was awarded the 2015 RHINO Translation Prize with his collaborator Walid Abdallah. Fogle teaches high school in upstate New York.